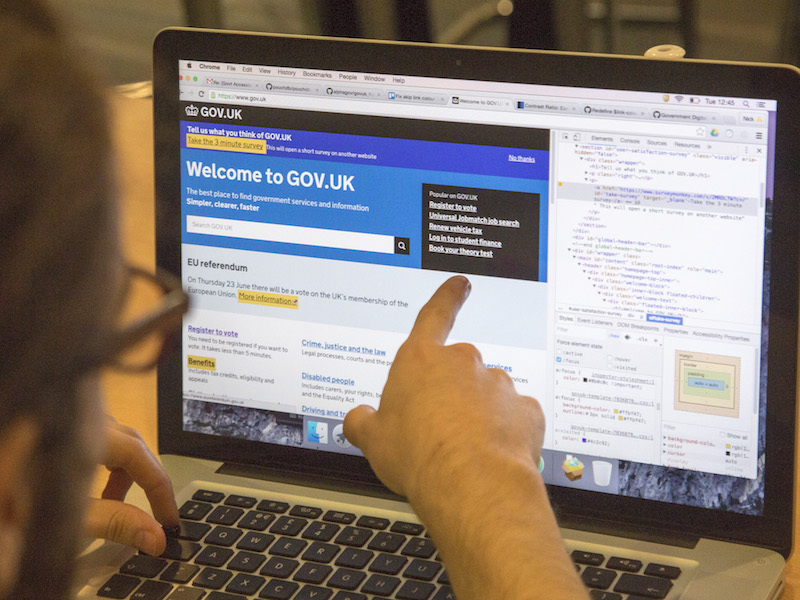 We’ll try to support any user who comes to GOV.UK. We want people to be able to use whatever browser or device they have to access the service or content they need. We recommend government developers test their services on the top 95% of browsers employed by our users. The list of these browsers is on the Service Manual’s browser and device page, which is updated a few times every year. For example, our most used browser currently is Safari on iOS. We take the percentage of users who access GOV.UK with that, then add on the percentage of people using the second most used browser: Chrome on Windows. We continue until we’ve got to 95% of our users. This figure isn’t a rigid cut-off point. We recommend that developers look at their own service’s analytics and user research to better understand if their specific users use different technologies to the overall GOV.UK statistics. This will give them a better chance of meeting their users’ needs. At GDS, our service teams always consider the particular needs of small groups of browser users. For example, sometimes we realise that it's hard or impossible for users to upgrade their browser and we’ll carry on testing browsers for them even if they don’t fit into the top 95%. Once we know which browsers we’re going to test, we place them into one of two groups. ‘Compliant’ browsers should meet users’ expectations. While one compliant browser doesn’t have to exactly match the specifications of other compliant browsers (for example the font rendering may be slightly different), users should never feel like anything is wrong with the site. If a user’s browser or device is too old to work properly with GOV.UK then our support may help them upgrade their software or provide alternative ways to access their needed content or services. Users with old browsers on GOV.UK see a banner with a link to a page to help them upgrade. Here’s a table of the most common browsers people used to visit GOV.UK during September 2016. Currently Internet Explorer 8, 9 and 10 are pretty low down in the list, and getting services working well in them consumes a fair amount of development time. We’ll probably move these browsers to functional in the next few months depending on how quickly people stop using them. At the same time we’ll also probably stop testing old versions of Safari on iOS. Older versions of Safari (and other modern browsers) usually display GOV.UK pages fine, but the effort to test in them for every service means that it’s not worth it given the number of people using them. Looking deeper into the statistics we also see some people using older and less common browsers. In September we still had 3,651 people using Internet Explorer 6 to access GOV.UK. We also see a few people using browsers that come with games consoles. We had 2,842 users visit with the Playstation 3 browser and 596 with their Playstation Vita. We had 933 visit on their Nintendo Wii / Wii U and 176 on their Nintendo 3DS. I’d also like to congratulate the 5 people still able to make use of Firefox on IBM OS/2 in September 2016. We’d really like to know if this detail is useful to anyone, as we’re considering publishing browser trend reports on a monthly basis. Leave us a comment or get in touch directly and let us know how these reports can help you. Why don't you just create a dashboard with this info and stop rewriting this same blog post every 6 months? Indeed a dashboard for this makes a lot of sense. Thanks for making public all your hard work in this space! ? One thing I'm curious about: early on in the piece, before you had any/many people using your systems, what was your decision making around browser support? Did you start off just supporting a common, easy-to-develop-with browser, like say Chrome, before gradually ramping up support for other browsers? Or did you make an up-front decision about which browsers you'd support? And if so, what kind of data or other reasoning was that based off? From how you explained it in this post, you seem to be dynamic/evolving with browser support rather than static/up-front, which I absolutely applaud and hope to also do where I work. ?? We were lucky enough to have access to the analytics data from Directgov and Business Link when we started work on http://www.gov.uk. This allow us to create an initial matrix of the browsers and devices people would be using to access most of the information on the new site. Any new information or services we introduced had this matrix to start with the team adapting it as the product was iterated. Do you show the “Upgrade browser” banner for ’functional’ browsers or only for even older browsers? Could you share the script for detecting when to show the banner? We show the banner for IE6-10, Firefox <17, Chrome <34, Safari on Windows and Safari <7 on iOS, and older versions of Android Browser. This probably needs an update. You’ll notice that there’s some ‘compliant’ browsers in that list: even if a browser still has enough users to require us to support it fully it doesn’t mean we shouldn’t warn those users that it’s old. I find this data extremely useful, since the website is not tied to a particular category of users. Great post and really useful information. Indeed a dashboard or trend board would be valuable. Would love to understand how you tracking the number of visitors on each of the platforms. Is this data collected client side or server (i.e. user-agent or GA events for example).